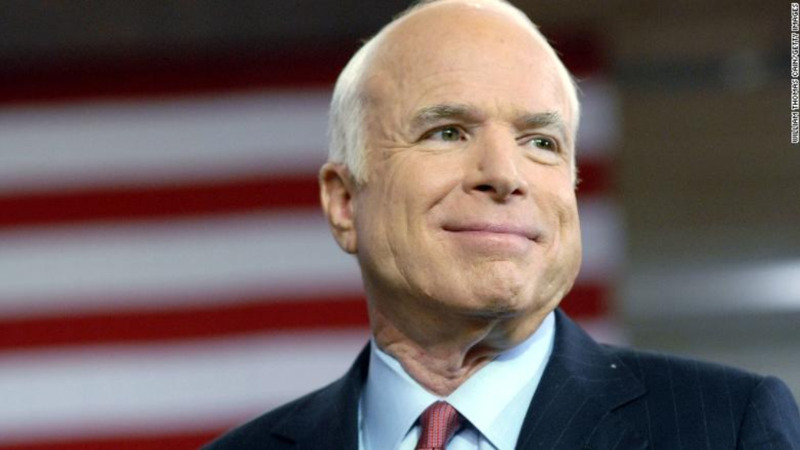 Arizona Sen. John McCain, the war hero who became the GOP's standard-bearer in the 2008 election, has died. He was 81. His office says McCain died Saturday. He had battled brain cancer andr recently ended treatment for the condition. In 1967, his plane was shot down on a bombing mission over North Vietnam. He was severely injured and spent more than five years as a prisoner of war. He was elected to the House of Representatives in 1982 and the Senate in 1986. 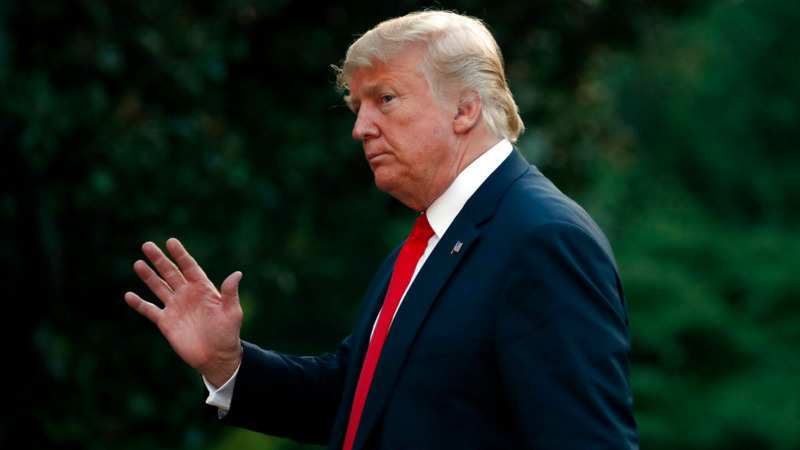 A conservative on most issues, he pushed for campaign finance reform and the effort to account for those missing in Vietnam. He ran unsuccessfully for the Republican presidential nomination in 2000, then won it in 2008. But he and running mate Sarah Palin lost to Barack Obama. 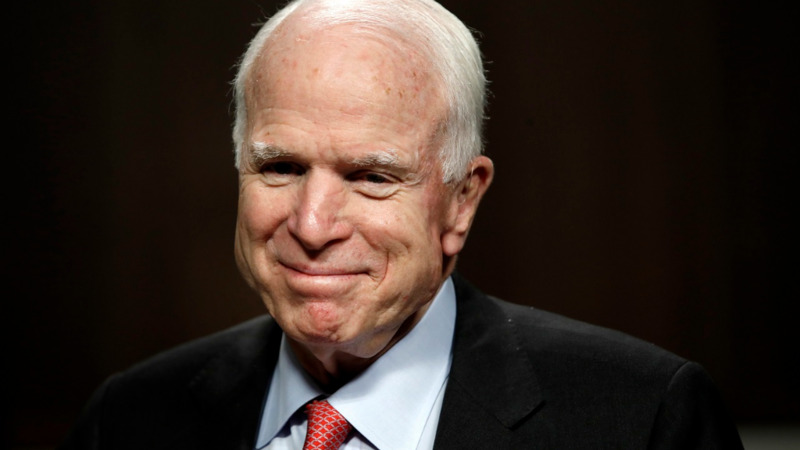 According to a report by the New York Times, McCain, 81, passed away on Saturday afternoon around 4:30 pm. 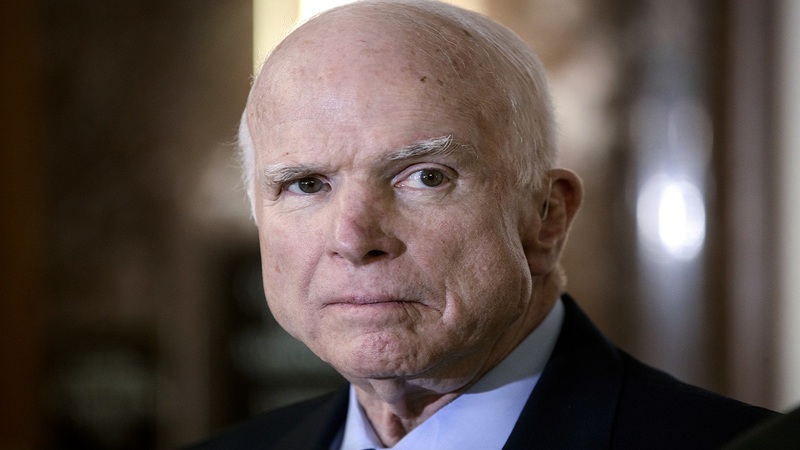 McCain opposed many of President Donald Trump's policies and gavea thumbs-down vote against the repeal of the Affordable Care Act. His numerous military decorations and awards include the Silver Star, two Legions of Merits, Distinguished Flying Cross, three Bronze Star Medals, two Purple Hearts, two Navy and Marine Corps Commendation Medals, and Prisoner of War Medal.